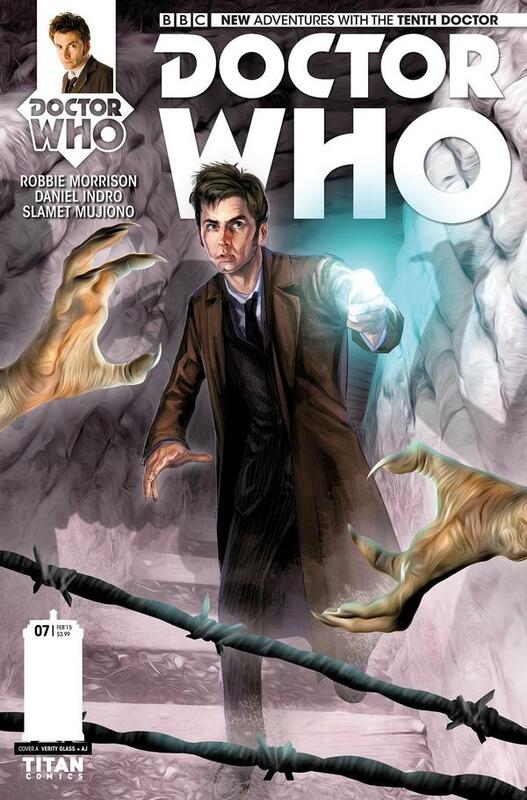 This week sees issue eight of the New Adventures With The Tenth Doctor comic from Titan Comics. 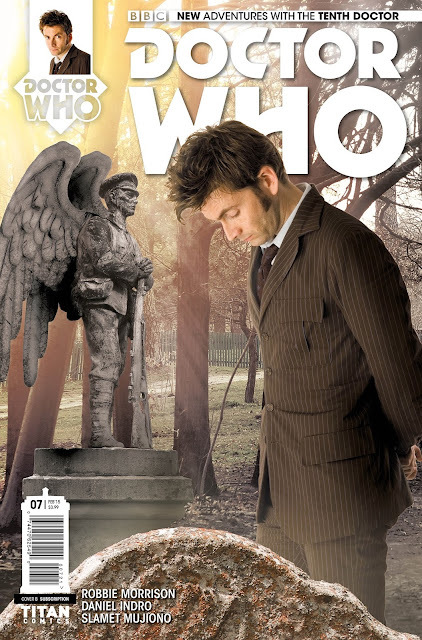 Unlike the last issue (which had a photo variant cover of a weeping angel), there is a subscription photo cover variant worth mentioning. The image used is quite a candid image of David in his brown suit with the Hechter tie. 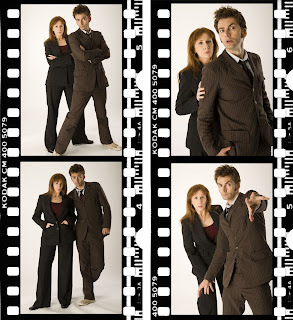 This matches the series four photocall with Catherine Tate as Donna Noble, during which a number of solo shots were taken as well. The shot is handy as a reference image, as it almost gives a side view of the suit, without David’s arm getting too much in the way.